The CarPro DLUX Plastic and Wheel Cleaner is another great product in the impressive CarPro lineup. DLUX is a silica coating that is designed to be used on both plastic and wheels. This budget friendly, semi-permanent coating provides excellent protection from the environment by forming a transparent, hydrophobic barrier on top of the surface that it was applied to. CarPro DLUX is a fantastic trim restorer that will help to maintain good looking trim for up to one year. The easy to apply coating helps to restore faded pieces, and leaves a low-gloss finish that looks like new. This product is not just for faded trim, however, as it is also a great choice for brand new vehicles. After all, it is much easier to keep your trim looking good if you never let it fade in the first place. Once DLUX has been applied, your plastic and rubber trim will bead water as nicely as your paint. The following photo shows the lower front grill of a 2014 Porsche Cayman. As you can see, the area is a solid piece of black plastic trim. Since this is a low mileage, relatively new vehicle, the trim already looks fine, as expected. However, due to my past experiences with DLUX, I know it can be improved. After applying DLUX to half of the area, the difference is dramatic! DLUX has created a truly black surface that makes the original trim look almost grey in comparison. Photo: CarPro DLUX applied to half of the area to show the dramatic difference between the original side (right) and coated side (left). After coating the rest of the plastic, it looked incredible. The black surface had a natural sheen to it. The surface is not glossy or fake looking. DLUX will help to preserve this plastic trim for an extended period of time by providing a hydrophobic surface that will resist water and dirt better than an untreated area. The same great protection can also be applied to your wheels. With DLUX applied, your wheels will resist dirt, road salt, ice, snow, and other environmental contaminates that can be difficult to clean. DLUX is incredibly easy to use. Simply clean the surface, then wipe thoroughly with CarPro Eraser to ensure there is no more dirt, residual polish, cleaner, or oils on the surface. Next, wipe DLUX onto the surface using the supplied small CarPro Suede Cloth. After the coating has flashed (flash times vary greatly depending on ambient conditions), just wipe away with a clean microfiber or larger CarPro Suede Cloth until the excess coating has been removed. In some cases, when applying to trim, you will notice the coating has dried and may only need a very light wipe down to ensure there are no heavier spots. It is that easy! DLUX has become my go to means of trim protection, the results are fantastic every time! How would you compare this product to P.E.R.L, also by CarPro that is used on trimmings, plastics, etc. as well? Hi David – these are 2 completely different products in my eyes. PERL is a fantastic product for dressing and short term protection for plastic, rubber, and leather. I personally use PERL as a tire dressing (diluted 1:1) and will apply every 1-2 weeks to maintain a deep, dark finish. DLUX is a long term coating that will provide excellent protection & appearance for a year or more. I use DLUX to restore and protect hard plastic trim as shown in this review. (I did not mention it in this review, but DLUX is also a great coating to be used on wheels!) Hope that helps… if you’d like more info please let me know! Sorry for the rookie question – but how does one tell when the DLUX has “flashed”? Does it turn hazy like wax does? And would I be correct in assuming that the lower the temperature the longer it will take to flash? Also, have you used it successfully on the shiny black trim that a lot of cars have between the front and rear windows? Hey Paul, DLUX will not turn hazy or anything like that. If it is applied thick, it will have a noticeable wet appearance to it that will then turn to a simple ‘dressed’ look as the product dries. It is not necessary to apply too generously, so in some cases the product will dry and you will not need to do much or any wiping (unless you want to dull down the semi-gloss finish to a more matte appearance). I haven’t personally used DLUX on the shiny black trim you’re referring to, but I have tried other trim products there in the past and never saw favorable results. I’d advise you to test a very small & inconspicuous area prior to proceeding with coating an entire section. Hope that helps. How does it work on older black Jeep fenders which turn almost white after many years. Ray, DLUX will work fine in these situations. I have seen it last 1 year on severely faded trim. As with many products, proper cleaning and prep is critical to the durability and performance so be sure to take your time and get everything completely clean before coating with DLUX. Ok, detailing a 98 in a few weeks so I will order some. 1 year would be great as most products I have used on Wranglers fade fast especially at the beach. One more question, on wheels do you apply after the wheels have even cleaned. I use Wheel Wax but this might be more effective and last longer. Do you apply the same way as you do trim. Thanks. DLUX is much more durable than a traditional wheel wax. Apply DLUX after the wheels have been thoroughly cleaned and wiped with CarPro Eraser. If you suspect there is a strong layer of protection on the wheels, you may need to polish them and then wipe with Eraser prior to applying DLUX. Can DLUX be applied over Solution Finish? I would be hesitant about applying DLUX on top of another trim product. SF will wear away overtime and need reapplication, therefore it would likely effect the durability of DLUX. SF is very dark as it is truly a black liquid being applied to the black trim. DLUX is a clear solution. Perhaps you could do a test spot and monitor your results. I really do appreciate your commentary here. I have a new set of glossy silver painted unmounted wheels. Do you have a recommendation for a sealant / coating that will preserve or enhance the gloss while giving better protection than the Classe products I’ve traditionally used. Thanks. Russ – DLUX is a fantastic option for a wheel coating. 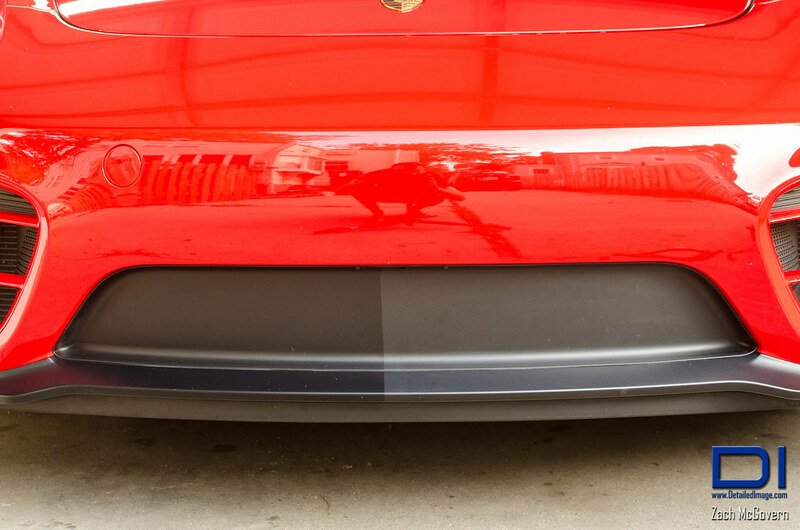 It will provide better, more durable protection than a traditional sealant like Klasse, and will certainly help to preserve the glossy finish. I have an 03 Chevy Avalanche Z66 with cladding lots of cladding! I stop using all those promissory sealants about a year ago because it’s a lot of work that doesn’t last as long as they indicate! Awe my question for you today is what would I need and how much do I need to apply the DLUX to the Avalanche I described? Hi Rich – Depending on the condition of the trim, DLUX may be a good option for helping to keep your trim looking good. 1 bottle goes an awful long way, so that may be all you need to cover the vehicle. I am not entirely sure there as I have never applied a trim coating to an Avalanche. You would first need to deep clean the plastic using a plastic cleaner or all purpose cleaner with suitable brushes, then rinse very well and dry. Before coating, wipe all plastic down with diluted isopropyl alcohol and a clean towel to ensure the surfaces are completely clean and free of any other dressings. Then apply DLUX. Curious about the silica material. Woodworking is a hobby of mine and furniture repair guys hate the spray on furniture polish that contains silica because it is very tough to strip off via paint stripper or sanding due to its properties that cause fisheyes. Is this a concern if a car finish needs respraying due to fender benders? Hi Eric – I have not encountered any issues with paint repairs on a vehicle that had been coated in the past. The nano coating layer is so incredibly thin that the painter’s prep work of scuffing and cleaning the surface should absolutely remove any traces of the nano coating. The wide selection of top line prodcts and highly experienced professionals to help with questions really makes your site top notch.